The packing tape is made of BOPP. Clear background with logo. Waterproof and strong adhesion. Suitable for factories, houses and supermarkets. 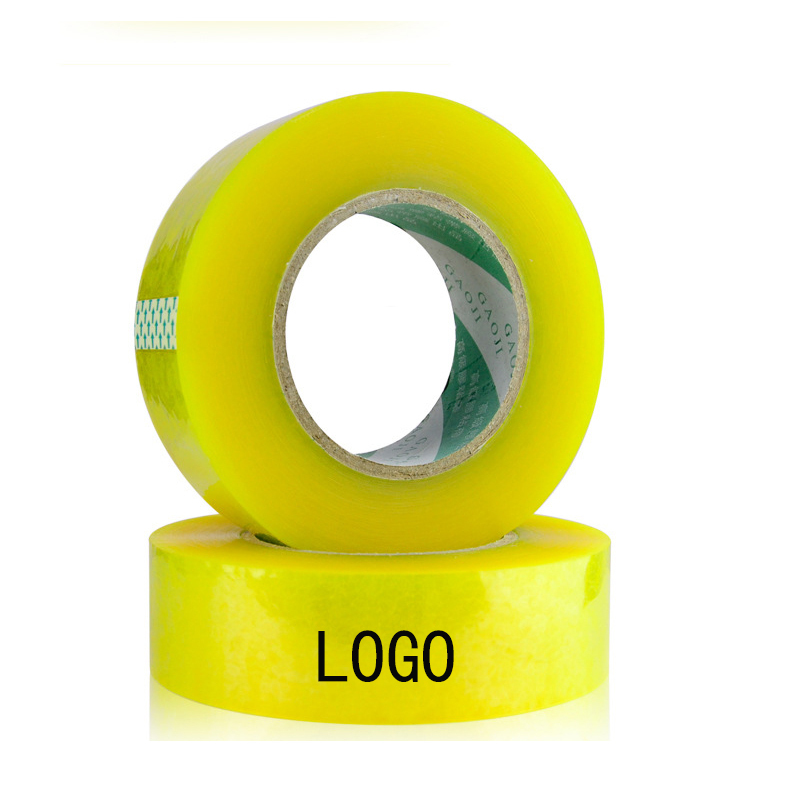 Your logo or artwork can be printed repeatedly on the tape. The price includes shipping for 1 location in the United States. The packaging tape has a strong grip adhesive that is smooth and easy to assist with your packaging and shipping needs. It can personalize and customize messages with logos, company information. It is ideal for crafts, scrap booking, decoration, special events, birthday parties and gift wrapping. Widely used in packaging. Customize your own packaging belt with your logo or design. Package: 1 pc/opp bag, 100 pcs/ctn, 46 lbs/ctn.